World Hepatitis Day is an annual event that each year provides international focus for patient groups and people living with hepatitis B and C. It is an opportunity around which interested groups can raise awareness and influence real change in disease prevention and access to testing and treatment. To learn about AAPCHO’s hepatitis B-related effort, please visit our Policy Initiatives and Projects pages. 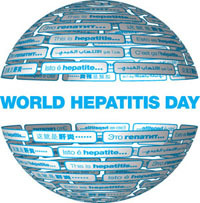 For more information about World Hepatitis Day, go to: http://worldhepatitisalliance.org/WorldHepatitisDay.aspx.